A 21cm X 30cm (folded to 7.5cm X 10.5cm in proportion), B&W zine on mint green paper. 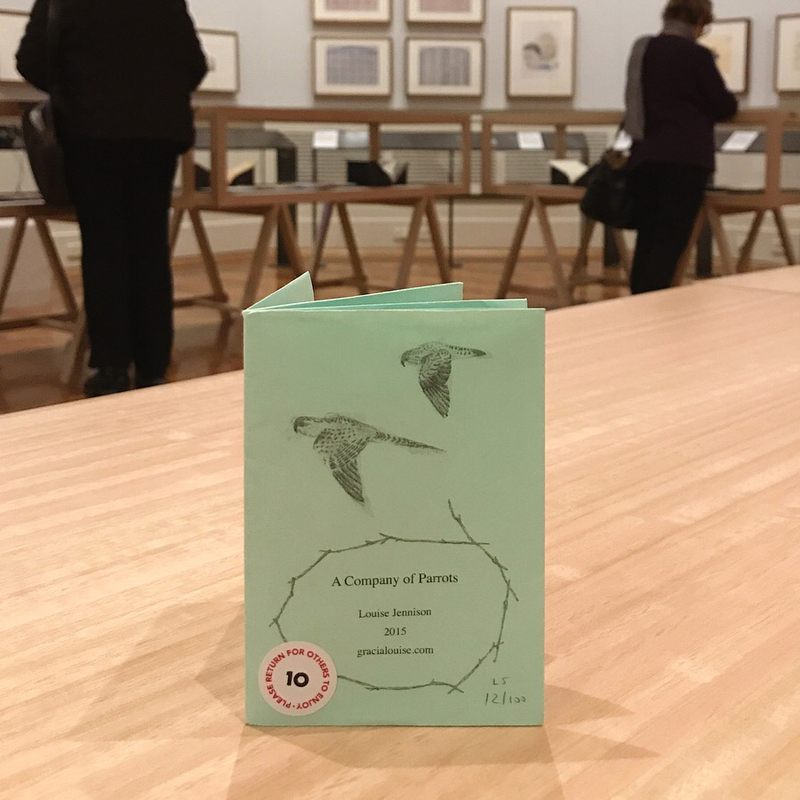 This zine features an Elegant parrot (Neophema elegans); an Orange-bellied parrot (Neophema chrysogaster); a Night parrot (Pezoporus occidentalis); an Eastern ground parrot (Pezoporus wallicus); and a Budgerigar (Melopsittacus undulatus). Albeit a little late, this zine was released into the wild at Sticky Institute's Festival of the Photocopier zine fair, 2016. 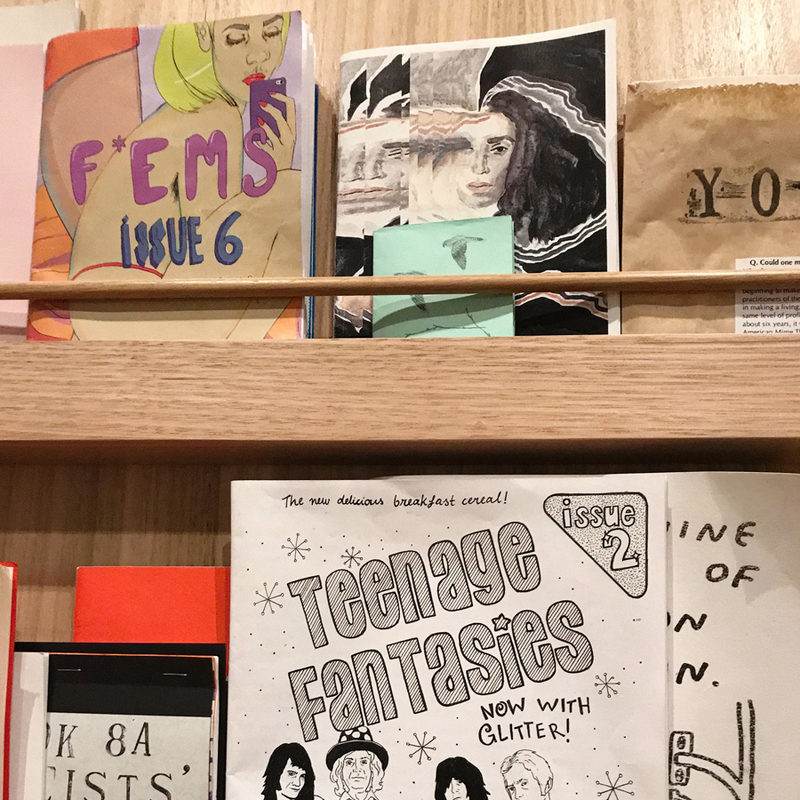 This zine featured in the reading library of the touring exhibition, Self-made: Zines and Artist Books, at the State Library Victoria, 2017. 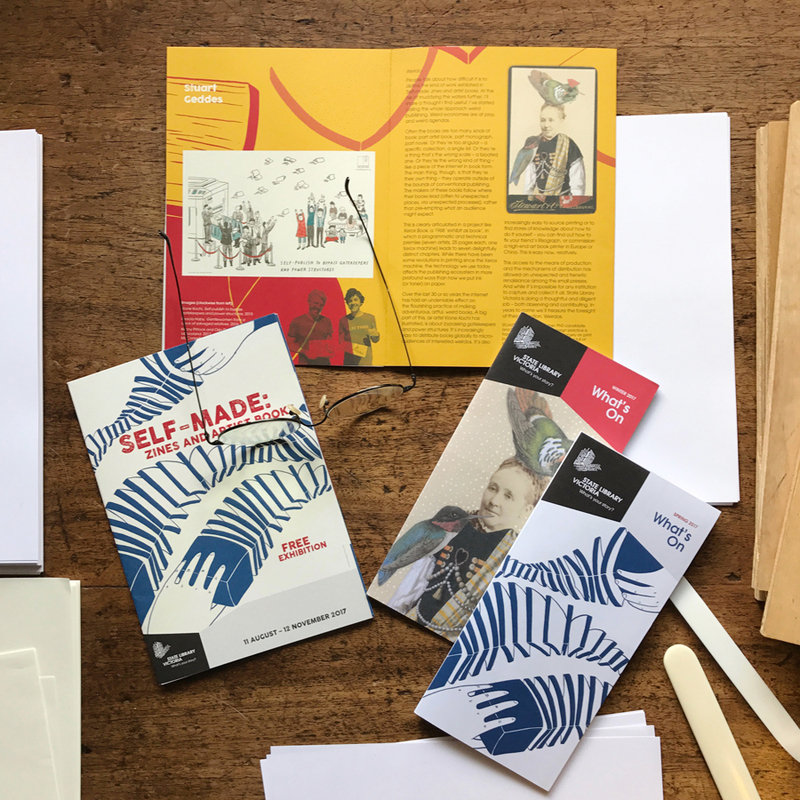 The exhibition also included our artists' book, A Deck of Salvaged Relatives, and two accompanying pocket-sized zines featuring costumed Salvaged Relatives.